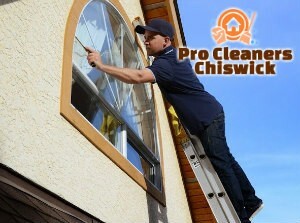 If it is important to you to clean keep your windows clean at all times, you might want to try using our window cleaning service in W4 Chiswick. We can clean your glass surfaces as often as you wish. We provide a cost-effective service that is worth your money and time. We work hard to achieve maximum results. We are 100% dedicated to giving your windows a lasting shine. We are open on the daily and looking forward to receiving a call from you. We will give you tips and advice and we will get things started for you. Don’t miss out on this chance. 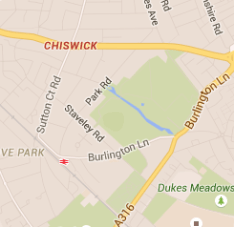 We promise that your windows will be in fantastic shape after we perform our window cleaning service in W4. All the stains, spider webs, marks and grime will vanish. Windows are exposed to dirt and grime 24 hours a day. They collect plenty of dust, fingerprints, dead bugs, car waste, bird droppings and what not. When it rains, they can become very dirty. The dirt can be seen clearly during a sunny day. It makes your windows and your home very unappealing. 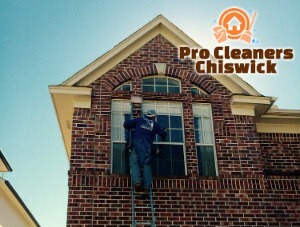 Since it is not easy to clean your windows, we suggest coming to our window cleaning company in Chiswick. We will handle the cleaning very quickly. We will send a team of two cleaners to your property. If necessary, we will send more workforce to help get the job done in time. Cleaning windows is a cinch to us but before it became so easy we did a lot of practice, we tried different techniques and we served hundreds of customers. Today, we have mastered the art of window cleaning and we offer a 100% effective service that ensures streak-free windows. We guarantee customer satisfaction. Make sure to contact our telephone assistants with any questions in mind. We will get everything ready for the service. Put your trust in us.